Three models are available, all store up to three adult bikes but feature increasing levels of security; you can choose which is the most suitable depending on your location and value of bikes stored. 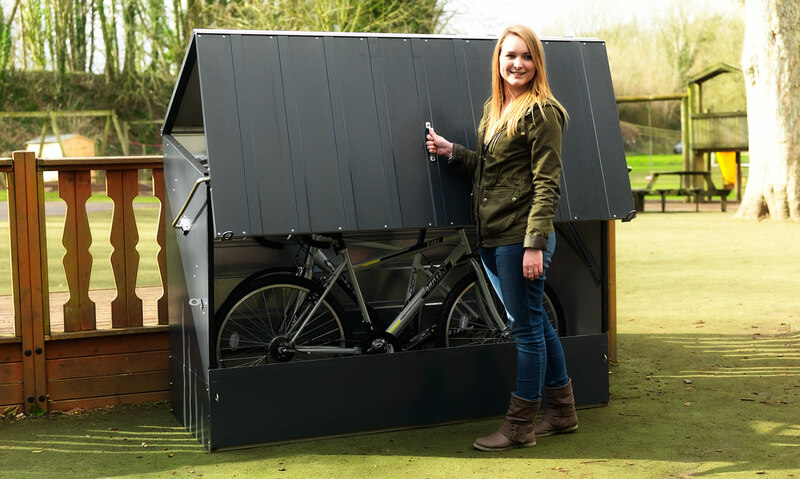 This model offers a good level of security and includes two padlock points as standard, it is ideal for general use and for storing family bikes. Designed with all serious cyclist and mountain bikers specifically in mind, it boasts all the excellent benefits of our standard Bicycle Store but has many extra features to make it ultra-secure. First and only cycle storage product to be awarded both Loss Prevention and Police Preferred Specification approval. 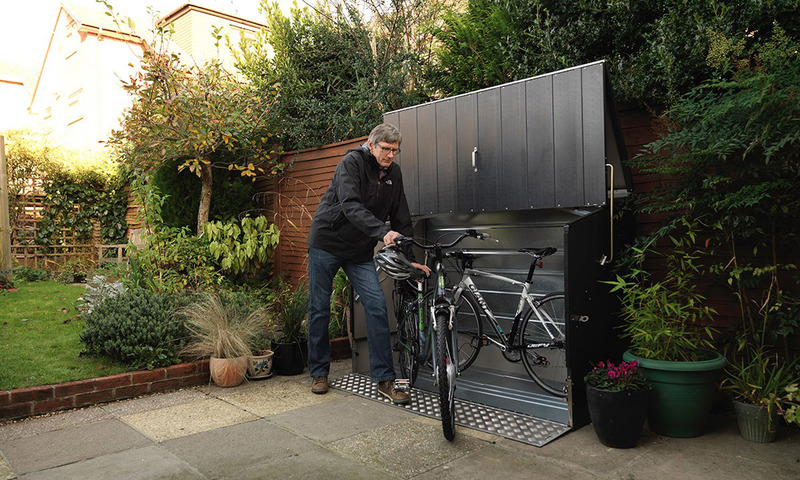 With the highest product specification on the market, the Pro is the strongest, most secure cycle storage we have ever produced; it is also wider to allow for the storage of most modern hybrids. The Pro is the ultimate in cycle security and is used and specified by the UK’s police force. Loss Prevention and Police Preferred Specification approval.